Home / Car Advice / Car Insurance / Finance / Modifications / Are Modified Cars More Expensive to Insure? Are Modified Cars More Expensive to Insure? There are different levels to car modification. Cars are considered modified if there have been any non-standard modifications made to the car, that were not originally part of the manufacturer’s specification. This includes cosmetic, functional and performance enhancements. This can mean anything from tinted windows to turbo upgrades. For the most part, there’s nothing wrong at all with modified cars. 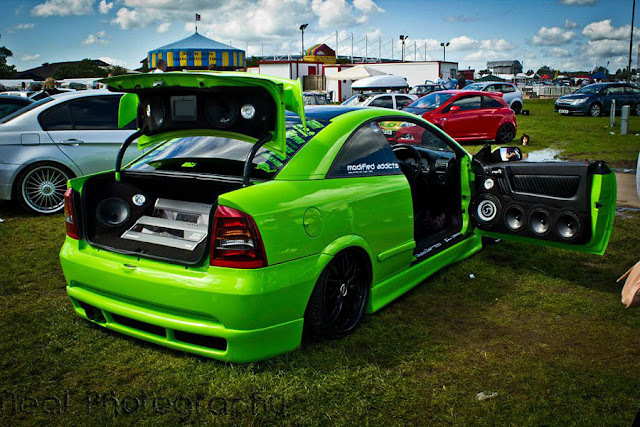 Modifications can be a great way to personalise your car or improve its performance - it can also be a productive hobby! But car owners should be aware of the increased risks in doing so and how they affect your insurance premium. Insurance is based on risk, so even the most modest or inconspicuous mods that wouldn’t at all affect your ability to drive may actually pose risks that you might not have even given thought to before. How do car modifications affect your insurance? The impact to your insurance premium will depend on exactly what modifications have been made - and whether your particular insurer constitutes it as a modification or not. Insurers will calculate the added risks appropriately based on your disclosed modifications. Different mods carry different risks, and the majority of car owners aren’t aware of some of the less obvious ones. Something as seemingly harmless as decals (which many insurers consider to be a modification) may attract negative attention from car thieves or vandals; more so than standard cars. The most obvious risks include things like the unforeseeable damage or potential injuries that may be caused in a crash, due to enhancements not having been tested by the manufacturer. If the modification was a DIY project, it might even be dangerous to drive. Of course, some car modifications will do the reverse, and actually save you money on your insurance. Things such as winter tyres, parking sensors or extra security features. This is because these types of modifications reduce the risk of accident or theft - but you should always consult your insurer before assuming. Many car modifications are considered to be high-risk due to increased risk of theft or accident, and even the cost of replacement for expensive parts. Fitting a turbo engine is by far the most painfully expensive upgrade you could make to your car, in terms of insurance, as you increase the likelihood of a road accident at higher speeds. Whereas upgrades to your navigational or audio system can increase chances of theft by opportunistic criminals. The most popular car modifications include adding alloy wheels, installing a tow bar, suspension work, exhaust system changes and adding tinted windows. Research has found that young male drivers are the most likely demographic to drive a modified car. Men generally are 620% more likely to upgrade their brakes, whereas women drivers are 51% more likely than men to install air conditioning in their car. It is important when shopping for modified car insurance to declare any modifications beyond the manufacturer’s original factory specification, otherwise you face the risk of your policy being invalidated and your insurer has the right to refuse your claim. It may mean that you end up having to pay a higher premium, but having an invalid insurance policy is a complete waste of money as you wouldn’t be able to claim should anything actually happen. If you are buying your first car secondhand, you might not be able to tell if the car has been modified. Make sure to ask the seller if any modifications have been made, to prevent any accidental insurance fraud. At Motor Heads we appreciate every opinion! Except SPAM! Comments are moderated, so if you want to link to your motoring site please ensure its relevant to the conversation, otherwise your comment will be removed.